By Felicity Arbuthnot: On 30th November last year, Michael Gove, currently UK Environment Minister, pretty well unloved by swathes of the population whatever Ministry he heads, declared, at the post-Chilcot Inquiry debate in Parliament regarding Tony Blair’s role in dragging the UK in to a monumental tragedy for which history will not forgive: “History, I think will judge him less harshly than some in this House do.” Deciding whether or not to illegally invade Iraq was a “finely balanced act”, fantasized Gove. It was not. 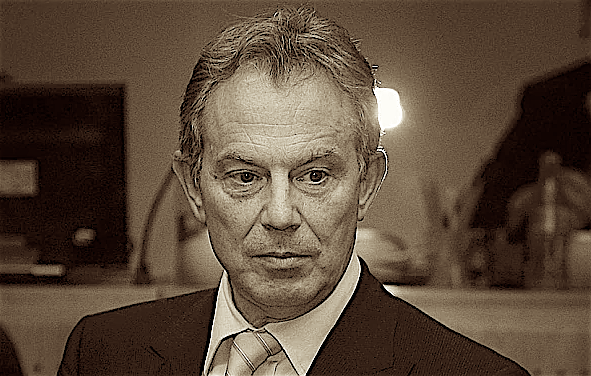 It was a pack of lies, many of which came from the Blair regime, as confirmed by Colin Powell’s delusionary address to the UN on 5th February 2003, in subsequently unearthed correspondence and of course, the Chilcot Inquiry. Blair, his Foreign Secretary, Jack Straw and his Attorney General Lord Goldsmith did not face a Nuremberg type trial – and surreally, Blair, after his 2007 resignation was appointed Middle East Peace Envoy. Straw and Goldsmith went back to business as usual. However, after fourteen years, maybe two million deaths, the decimation by ISIS, the US, and the UK of Iraq’s (Mesopotamia’s) history, culture stewardship and witness, over millennia, to one of the world’s great, ancient civilizations, there is a chance that Antony Charles Lynton Blair, Jack Straw and Lord Goldsmith may yet face a Court of Law. In April this year the UK Attorney General, Jeremy Wright, intervened in an attempt to halt a private prosecution of the three brought by General Abdul-Wahid al-Ribat, former Chief of Staff of the Iraqi Army under Saddam Hussein’s government. The Attorney General argued that the basis of the case, the crime of aggression “the supreme international crime” as enshrined in the Nuremberg Tribunals, did not apply in British law and that the former Prime Minister, Blair and his Ministers had: “implied immunity as former Head of State and government Ministers, therefore offence not made out … Allegations involve potential details being disclosed under the Official Secrets Act for which Attorney General and Director of Public Prosecutions consent are required.” (1) The implication seemingly being that those consents would not be forthcoming. Nevertheless the case was dismissed by the Judge at Westminster Magistrates Court. The legal team for General al-Ribat, led by Michael Mansfield QC and lawyer Imran Khan are not easily deterred. Mansfield has been described thus: “The radical lawyer has become an icon in a disenchanted age … (Mansfield’s) high profile victories take on a hallowed significance: the good guys against the rotten state … with a flourish of his insolence and a refusal to shut up they flock to him … and he looks after them all. The Establishment loathes him.” (Guardian, 25th October 1997.) Imran Khan: “is one of the most highly regarded human rights layers in the country” and “a rebel with many causes.” (The Lawyer, 17th June 2015.) “My objective is to make sure the State is held accountable”, he is quoted as saying. This week, on Wednesday, 5th July, General al-Ribat’s case returned to the High Court in an appeal which is being heard by the Lord Chief Justice, Lord Thomas of Cwmgiedd, and Mr. Justice Ouseley. The General had been motivated, Mansfield told the Court, by the findings of the Chilcot Inquiry that the Iraq invasion was unnecessary and undermined the United Nations. James Eadie, QC., representing the Attorney General, Jeremy Wright stated that: “The crime of aggression is not know to English law” and does not exist in the statute book. Sabah al-Mukhtar, of the Arab Lawyers Network, commented: “This is just looking at whether the first Court was right in refusing to entertain the case. It has not been Blair’s week. In the light of the Court hearing, Sir John Chilcot – who headed the seven year Inquiry in to the decimating attack on Iraq and found that the Blair Cabinet’s decisions on the matter had been “far from satisfactory” – broke a year long silence in an interview with the BBC. Urge the UN Security Council to take responsibility to ensure that full sovereign rights are vested in the people of Iraq and that the independence of its government be protected by a UN Peacekeeping Force. Perhaps, at last, justice may have a chance, one which might set a precedent and also deter any politician or leader from embarking on the “supreme international crime”, ever again. Here’s fervently hoping. Felicity Arbuthnot is a British freelance journalist who has visited Iraq dozens of times since the 1991 Gulf War. She has written and broadcast widely on Iraq, one of the few journalists to cover Iraq extensively even in the mid-1990’s during the sanctions.